The Old Kent Barn is one of the most perfect Autumn & Winter Wedding Venues in Kent. It’s such a lovely time of year to get married too! Experience the cosy surroundings of our timeless oak-framed barn, the warm glow of twinkling fairy lights throughout the barn and grounds, and delicious seasonal menus to delight your guest’s taste buds. Plus, the glamorous backdrop of our Barn is perfect for styling your Autumn or Winter Wedding any way you want. And, you still enjoy the same incredible first class service and attention to detail (our team are renowned for) at a reduced venue hire. So come and celebrate your wedding with loved ones in the cheeriest of seasons. Call us today and arrange a viewing on 01303 844 270 or by sending an email to events@theoldkentbarn.co.uk. 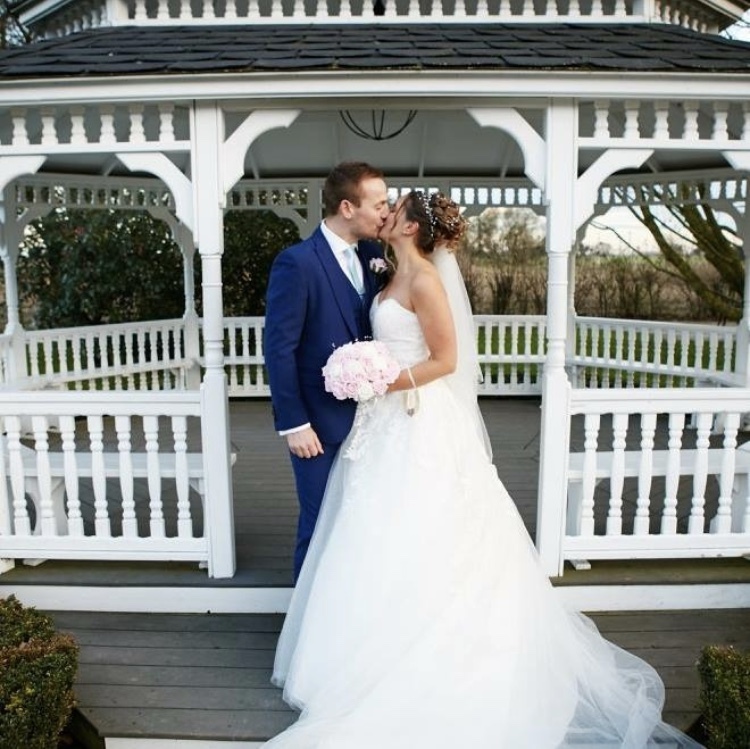 What led your decision to have a Winter wedding at The Old Kent Barn? For us winter is quite special as it is when we got engaged. The Old Kent Barn was the first venue we looked around and it looked absolutely magical! The fairy lights, garlands and Christmas tree made it look like a winter wonderland! The staff were also a huge impact on our decision. From the start they were organized, helpful and so accommodating. We came to TOKB for an open day in December 2016 and fell in love with the way the Barn was set up for a winter wedding. We hadn’t even considered having a winter wedding until we went to visit the Barn (we wanted to do September), but seeing the venue set up with twinkly lights, Christmas trees, garlands etc. completely swayed us. We booked our date there and then (December 2017). It also helped that the Dec 17 weddings had been discounted and there were 3 Saturdays still available! Having been to loads of Summer weddings, I had never been to one in the winter. I wanted something that would stand out and loved the idea of a winter wonderland. The first time we visited the barn it was late October and seeing the lighting and space I knew I could create something magical.